Submit your details using the form below and one of our Sales Team will get in contact with you as soon as possible. Please don't send me occasional emails about new products and services. Thank you for the request, we'll be in touch shortly. Octagon bring their builds to life with Classic Folios’ innovative, 3D walkthrough technology. What was the problem, challenge or objective? Octagon have a lot of international clients based overseas, and also very busy, time-challenged prospective purchasers living here in the UK, so being able to offer a virtual tour and a lifelike perspective of the homes is a great tool. Clients can ‘preview’ the property before committing to a physical viewing. After trialling the virtual reality technology at Bishops Row in Fulham, Octagon were delighted with the result - the images were bright, clear and the system was easy to use. What was the solution / products taken? Online: Octagon have a reputation of being bespoke, luxurious and innovative, completing their homes with contemporary interiors that feature the latest gadgets and appliances. A great way to showcase this was by using a 3D walkthrough, a feature that attaches to the online homeowner portal, Hoozzi. Homebuyers can log in to the portal, where they are able to access detailed information on their new home, as well as view a dollhouse image and floorplan from a 360˚ angle. The technology encourages homeowners to re-engage with Octagon’s brand and acts as an excellent referral tool, as family and friends of the buyer take the impressive virtual tour through the property. The dollhouse and floorplan view of Bishops Row now sits proudly on Octagon’s website, acting as a sales and marketing tool for new properties. 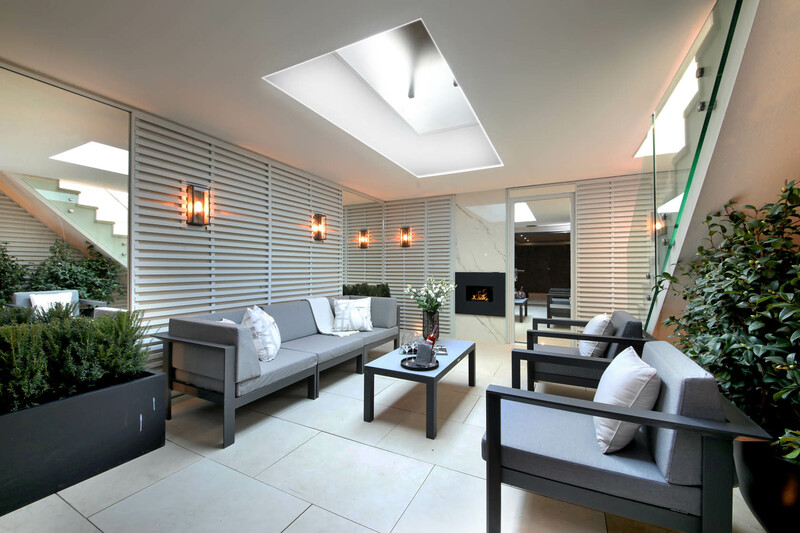 Octagon is an award-winning housebuilder with nearly 40 years’ experience, specialising in luxury family homes throughout Greater London and the Home Counties. As a leading developer in the luxury property market, staying ahead of the latest technology is essential to us as a consumer business. Being able to offer tried and tested, top of the range equipment to our clients is invaluable – the Octagon customer is looking for the very best. With Classic Folios, an already trusted supplier for over 12 years, we consolidated our handover and virtual tours to create a 3D walkthrough video for our new flagship development of 9 townhouses in Fulham. © 2018 Classic Folios Ltd. All rights reserved. You could receive a reward worth £250 by simply referring a friend or colleague to us.